ADVAN website design company will deliver an amazing cutom web design to achieve your business goals. A Custom Website Design Company… we will make your business STAND OUT. Internet marketing gurus offering the BEST in website design services. We are a leading Ohio website design company serving the Akron • Akron • Canton area providing search engine optimization, graphic design and online marketing to established businesses across Northeast Ohio since 2001. 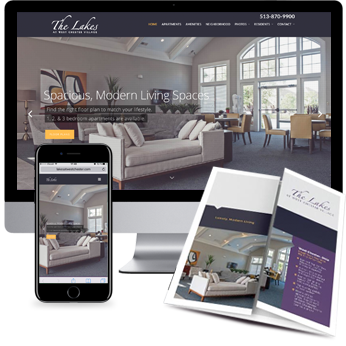 We work across all business sectors and have an outstanding portfolio representing the BEST web design in the Akron metropolitan area. What differentiates ADVAN web design is a focus on building websites that generate results for our clients. It’s not about just building a website that looks good. Your website should be your number one lead generator of all your ongoing marketing efforts providing a superior ROI. Same day and 24-hour design service available for emergency projects. We design websites that include high-level marketing that sets our clients apart from their competition. Our custom website design will pre-qualify your company as the best solution for the visitor. We’re the #1 web design Akron company due to great design at an amazing price. We carefully craft messages, a look and an develop an intuitive website design that quickly and clearly communicates the benefits of working with your company. We integrate multiple calls to action so it urges your visitor to call, email, fill out a form or request a quote. We deliver all of this in a website design that works for your business.